See Leong Kit's letter to Today which was rejected for publication. Your report “Asset that keeps growing” (TODAY Dec 30) highlighted Minister Mah Bow Tan’s simplistic and optimistic view that HDB flat values will always go up. Home prices in Singapore have become “ridiculously-high” for private property and “sky-high” for HDB flats. Is it financially prudent for our young couples to start their marriage saddled with huge housing debts for something as basic as a roof over their heads? The broader issue is that land-scarce Singapore must have proper policies to promote an “orderly” property market that is sustainable by economic growth, real demand and especially rising incomes. Such a market with gradual capital appreciation will benefit many Singaporeans from successive generations. Whereas a “speculative” property market of sky-high prices is largely driven by speculators out to make a quick buck by “flipping a property”. But when the Property Bubble finally burst, both speculators and genuine home owners will be hurt by rapidly falling property values. During our 1994 Property Bull Run, prices of both private and HDB properties were rising at 30% per annum for three years in a row. But since when has our economy as well as our salaries grow at such a phenomenal rate? Our 2007 Property Bull Run lasted only nine months, cut short by the US sub-prime housing bubble turning into a Global Financial Crisis that brought recession and job losses to Singapore. But during that nine months, average freehold property value in our East Coast area doubled from $700 psf to $1400 psf. > As a home-buyer. Is it wise to sink so much of your hard-earned monies in a brick-and-cement house with little left over for your children’s upbringing, your own healthcare and retirement needs in old age? > As an employee. If your employer has to pay high office rent out of its operating budget, can it afford to pay you a better salary,increment and bonus? > As a consumer. If a shopkeeper or supermarket operator has to pay high commercial rent, will it not charge you higher prices for goods and services? Are there not more important things in life, such as good health, close family ties and well brought-up children than this materialistic addiction to “HDB Upgrading Carrots” and “my HDB flat is worth a lot”? Should you die suddenly from an accident or heart attack, can you take your high-valuation upgraded HDB flat along with you to the next world? 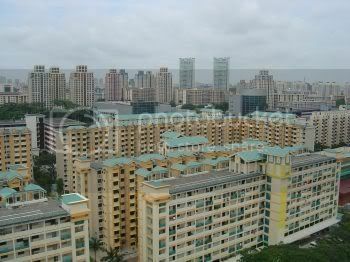 Read also: Higher HDB prices good for Singaporeans? by Leong Sze Hian.